Holiday Gift Certificates Available! Use it for your loved ones and or for yourself! Select the quantity from the drop down and click the green button to enter your payment information via PayPal. You can pay with any credit card, online bank account, or your PayPal account (you do NOT need a PayPal account to purchase). 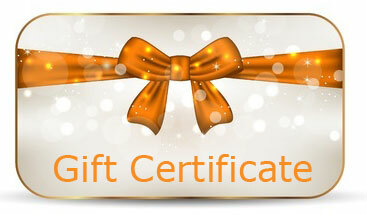 Upon ordering you’ll receive an email with your gift certificate details. Is it Time for a Self-Care Reset? Schedule a free sample session today! Group and individual sessions are available remotely via Skype. >>Click here<< to book a session! Clinical/Medical Hypnotherapy, Guided Imagery, Emotional Freedom Technique (EFT), Relaxation Techniques, and Neuro-Linguistic Programming (NLP). Copyright ©Lucy Seligman, All Rights Reserved.